Looking for a faster, easier, more rewarding shopping experience? 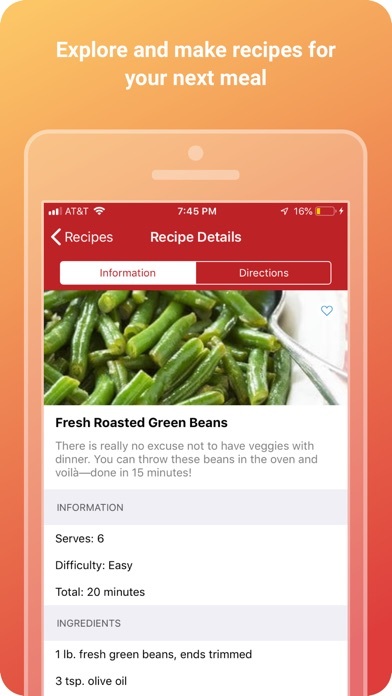 Save time and money with the Dillons app! It puts convenience, savings and rewards at your fingertips. 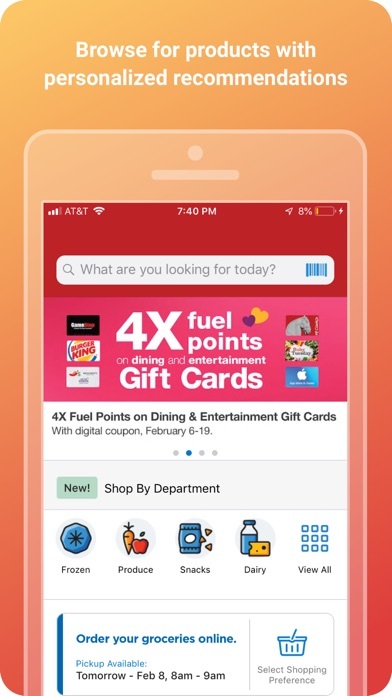 Simply download the app, create an account and register your Dillons Plus Card to access all these great benefits: · Shop Pickup or Delivery right from the app! · Easily build your online shopping list, and use it to shop in-store or to place your online order. · View your Weekly Ads and quickly add sale items or specials to your shopping list. · Load digital coupons directly to your Plus Card and use them to save on items from your shopping list. · Get even more savings with exclusive promotions, personalized offers and bonus rewards. · Refill your Dillons Pharmacy prescriptions directly from your phone or tablet. Just type in your prescription number, select your Pharmacy and schedule a convenient pickup time. · Check your fuel points. · Use our locator to find the closest Dillons store or fuel center. · View your purchase history. Use it to create standard orders that will save you time. · Add your Plus Card to Passbook for iPhone and iPod Touch. To use the Dillons app, you'll need a Dillons digital account. You can register for your account and link your Plus Card through the app. If you don't have a Plus Card, you can create one when you register to access all of these savings and rewards! I don’t use the shopping cart (where I select what I want & Dillion’s fills the order). I try to use the list & go to the store. There used to be an option in this app to add an item to your cart OR your list. As it is, I have to add things to my cart from the weekly ad and add things thru the week to my list. So I have TWO lists. I can move things from my list to my cart but can not move from the cart to the list. Love it! So easy. The staff is fabulous and my orders are exactly what I want! Great job Dillons! Today’s app update is very broken, can’t sign in, can’t find stores & simply doesn’t work. Why, why, why ? Enjoy the fact I don’t have to spend hours shopping! Not an easy app to use. Doesn't come up with cheapest or sale items first. Can't figure out how to same items in a favorites folder. If you are not computer savvy it is hard to use. I want something an 89 year old person can handle. This app makes it really easy to add coupons and specials to my card and the shopping option is awesome as well! I love using the app and curb side pick up! It’s so easy and works perfectly with my schedule. All of my groceries are perfect and the employees are great!! 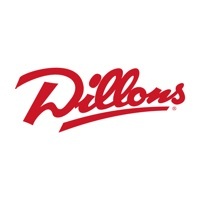 I use my Dillon’s app often and enjoy shopping at the store. I’m also into couponing and would really appreciate being able to scan the barcode of an item to determine if there is a coupon available for it. Have used this feature in Safeway stores so I know it is possible. Please consider this update to your app. Search error on my iPad every time we try to search for anything. Invalid credentials comes up on my iPhone almost every launch. App randomly force closes from time to time trying to view coupons. Seems to be a very buggy app. Have reinstalled it but still have those issues. Otherwise it would make a great app. Running iOS 12.1 on the iPhone and 10.3.3 on the iPad. There has to be an easier way to shop for items. Why does Dillons have the rudest most disrespectful person behind the customer service counter? The app has stopped showing all available coupons since the last few updates. It’s pretty much useless now as it’s forcing me to use the website if I want to add coupons. I’ve always had a great experience when shopping here!! Although not all stores are perfect and have associates that are not truly happy with their job this store has always been great and always helpful when I need it. Love the app. I love how you can write something on each item item so you can specifically mention whatever you want. Keep it up Dillons! I wish I could include notes on my selections. Like on the roasts, I’d prefer two with the heaviest weight... sometimes they can vary by a whole pound. I also wish you would implement reusable bags. I’d gladly pay a rollover deposit for the use of reusable bags. I absolutely hate this app. I love the Dillons store and the ClickList option. The app is a different story. It’s constantly crashing and it’s been crashing since I’ve had the app (1 year) It’s very hard to complete an order without the app deleting everything I worked to create. I received a card that I was supposed to get free shipping and a discount on my order there was no place to enter a code for the discount and I was charged 11.95 on a $60 order. I love this service offered at Dillon’s, it saves me both time and money. Very easy to use and a real convenience to have. I love the convenience the app offers busy people, but the last 2 times I’ve used the app it seems to duplicate random items during “checkout.” I triple checked this last time before submitting (yes, I did have to fix some duplicates during this step) and I still had several duplicates and the receipt reflected it in amount and cost. Update is needed to fix this issue. After the last update, finding categories in the coupons section is not the same and does not work as well. It loads coupons in other categories that I did not select. Frustrating. It is so easy to use. Easy to search for and find products I love and use every week. Love being able to add digital coupons and modify my order! 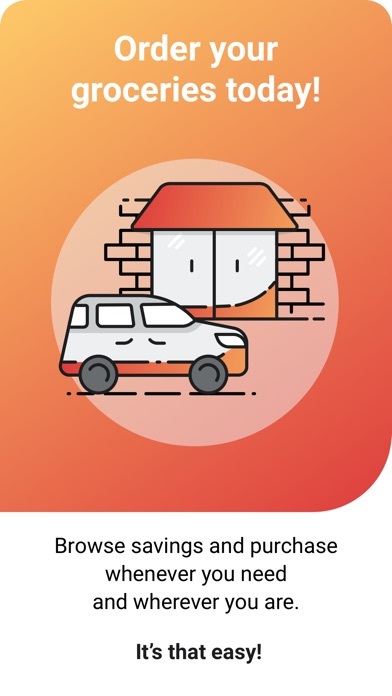 Pleasantly surprised that shopping through the app moves much more quickly than shopping for groceries through the website for me! Some times glitches and would be a 5 star if it could show your coupons attached to items in your online cart. Tried several times to open app after updating-continuously receive the same error. Tried several nicknames-ridiculous! App is not working properly. The buy one get one is unclear/ confusing. Like the savings, but was unsure if I should put one or 2 for the quantity. From prescriptions to groceries the Dillons app makes my life easier! I have shop at Dillion’s for years. Always have what I want, if they don’t will order for me. Produces is fresh, I like KC steak, nice and tender. I buy ground turkey and beef, Chicken. Employees are always friendly, store is clean. Will be moving, going stay with Dillon’s. VERY HAPPY WITH DILLION’S. I have 2 Dillon Store close to me, choice to shop at Dillion’s on 6th St, it’s within walking distance. Just love this app as I can go back to all my previous orders and select from them. This saves time and money. I am an impulse buyer now none of that. I can review my cart and think do I really need that and delete if necessary. It’s a very easy app to use.it lost a star as it can crash every now and then. Searching for items is frustrating as you have to type in the entire item you are looking for and then nonsensical items come up in the search (e.g. “strawberries search” ended up with strawberry lemonade, strawberry yogurt and Twizzlers. Basic strawberries were #9 on the search results. Filtering for coupons is also difficult. This is the only way to shop! The app is easy to use and well organized- aisle by aisle or by product type. Having my previous shopping lists makes shopping fast and easy- from my recliner! It’s the Saturday before Christmas and MY KROGERS APP HAS BEEN MODIFIED AND IS NO LONGER AVAILABLE!! IS CONGRESS NOW IN CHARGE OF KROGERS !! Since updating this app, it doesn’t work properly. The lists are unsortable no matter which filters you select, I get hundreds of results, even when the filter tells me there should be 3. I used to use this app regularly to search for deals, but I don’t even want to use it anymore. 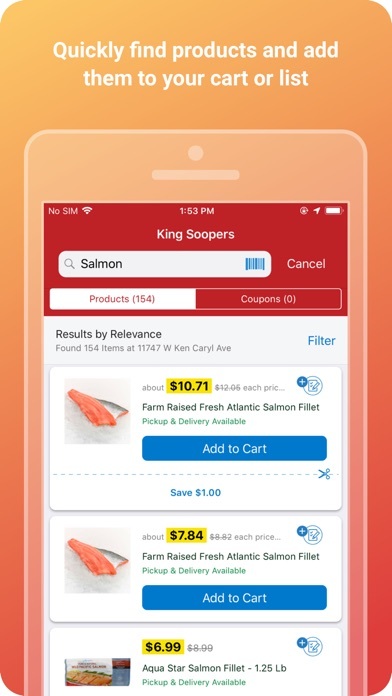 It’s too complicated, and without being able to use the filter function there are way too many coupons to look through when you want to find something specific. Several regular items the store has that the app doesn’t show which is frustrating. This forces me to type special instructions on items to substitute the actual item I want. They rolled out their update before it was ready to be released. The sort and filter function does not work at all anymore. I like the app, I like the website but whenever I’m in the store where I would like access to my information, coupons and list the service is so poor I can’t even use the app. If the service in the store was better the app would rate 4-5! I’m not sure why but it seems like a lot of the stuff in store isn’t easily brought up by search. I use Clicklist about once a month. The last two orders I have placed I made sure to deselect the allow substitutions button. However when I received the confirmation email and reviewed my order, it showed everything was substitutable. In addition I’ve received products that had expired the day I ordered the groceries. I work two jobs and go to school. I don’t always have time to shop for myself. I liked the convenience of Clicklist in the beginning when it actually worked. It’s no longer convenient when you don’t receive the things you want. Next month I’m trying Walmart grocery pick up. Great being able to get things quickly but the delivery price is really high as compared to Hy-Vee. I go to Dillion’s on tenth and gage and have since they took over.i wanna recognize an employee who works hard customer friendly always goes out of her way to help her name is Cathy don’t know her last name, she has been there for years I only hope her employers see what an asset she is to Dillion’s. This app works great. A few little glitches once in a while, but customer service is helpful. Thank you for adding the pick up service, it is a timesaver! Overall fantastic! This has made meal planning for a large family so much easier! I don’t waste hours doing grocery shopping anymore! 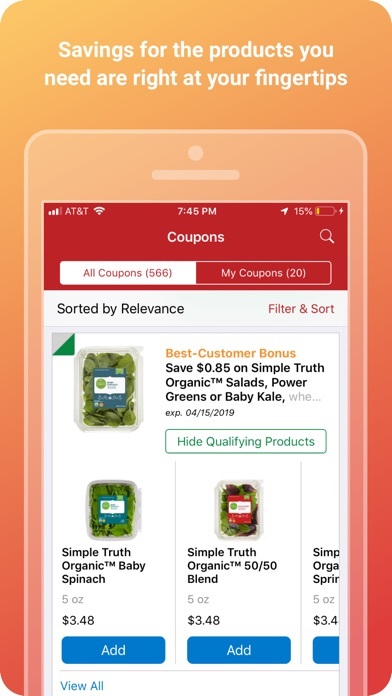 I love using this app to help me find items in the store and I really want to like using the coupon function. However I wish it were easier to find out if my item has a coupon. I don’t always know what I’m buying when I go to the store and I wish the coupon section was like the target app. I just scan the barcode and it tells me if there are any discounts on the app. I wish I could scan my items on Dillons app and have it tell me if there were any coupons. I would be a lot more apt to use it more if I could easily search it. I kept putting it off because I was only looking at my lists in email. Downloading and using the app was much easier than I anticipated. Now, if my groceries are all as expected at pick- up I will be using the click list again.